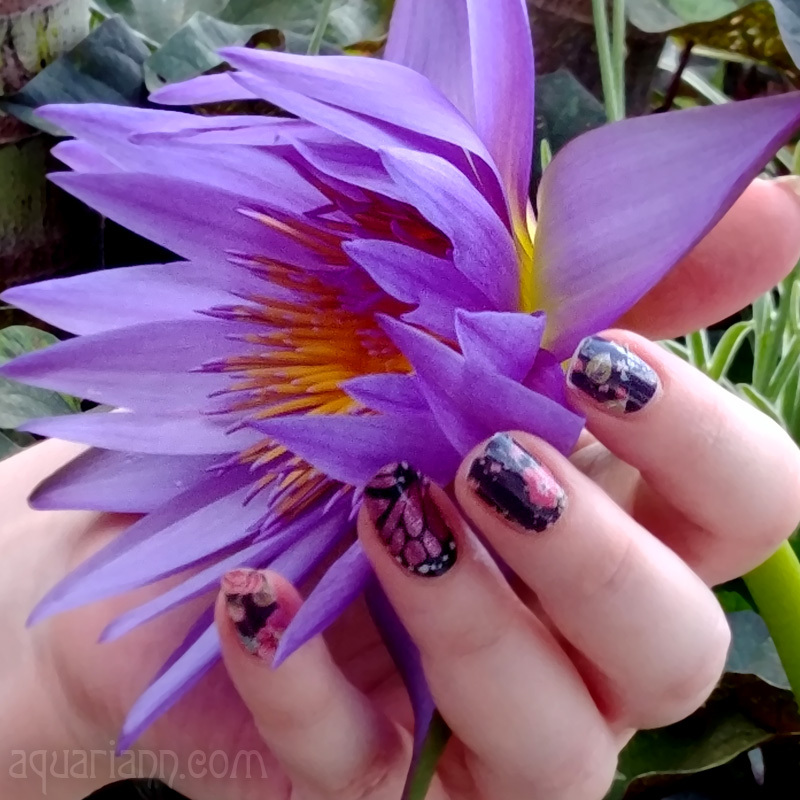 fantasy art and tree chatter of aquariann: Flower Photo: Stargazer Lily and ... Alien? 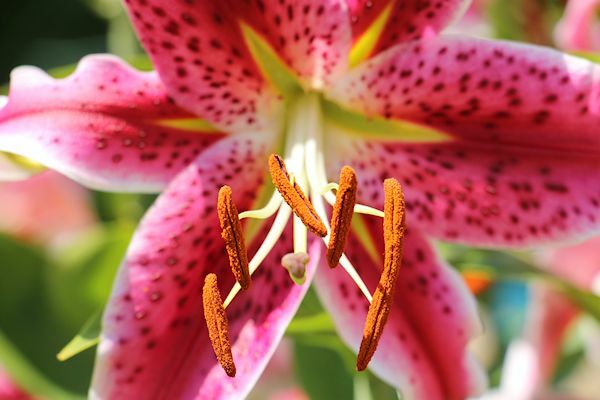 Flower Photo: Stargazer Lily and ... Alien? 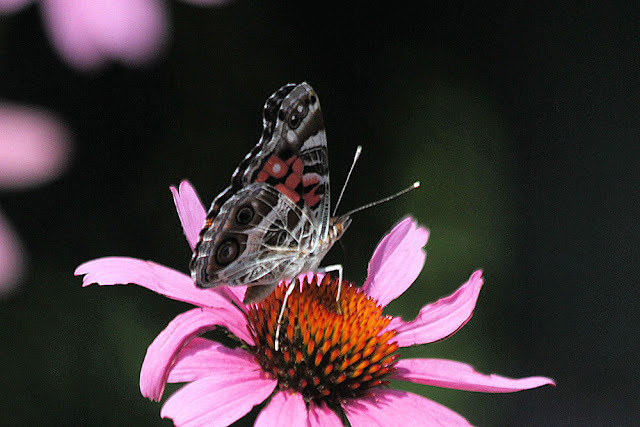 Insects have swarmed my blog this summer! Bees and butterflies made an appearance as usual, but for the first time, I photographed a Monarch chrysalis, Daddy Longlegs spider and now an ... alien? Sure, after some Googling, I realized he's masquerading on this planet as a brown praying mantis. But look at him defying gravity on that Stargazer lily! I love it!! You certainly have had so many fantastic brushes with nature this summer!! I particularly loved your chrysalis encounter...but this guy is quite fascinating too!! That is great. Is it a stick insect? That's what I thought at first because of its color, but Ogre told me it was a praying mantis! I didn't realize they came in brown because I'm used to seeing the bright green ones, but researched it, and indeed they do! It's a beautiful little flower and the little praying mantis is too. Great catch! Nice shot & it does look like an alien heheh! Lovely shot, I love the praying mantis, I found one this year on a squash plant. What a cute little alien! 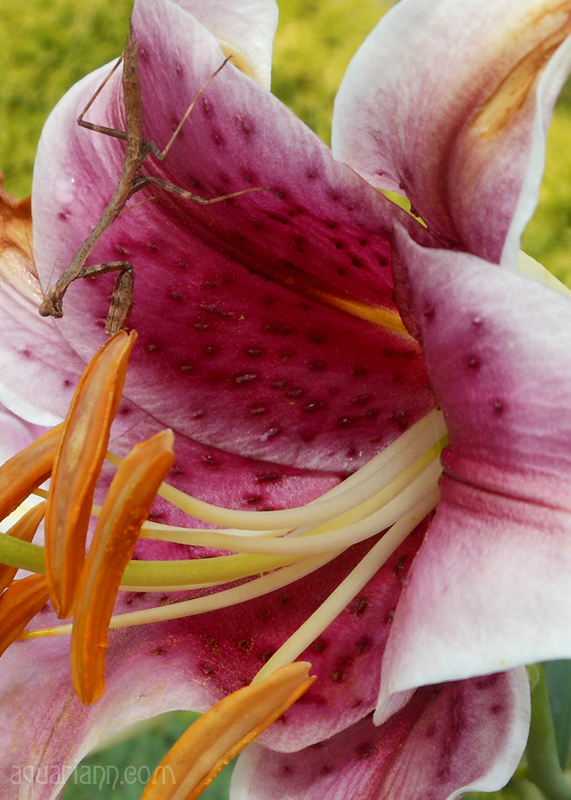 Great capture of the praying mantis on the lily. They are one of the most interesting insects to watch. Looks like the lily has a visitor! Love the close up. What an interesting shot! I've never seen a brown one, only green. Such an amazing close up! That alien is surely enjoying himself :). I really love lily for its wonderful smell..
Great capture of the lily and the visitor! 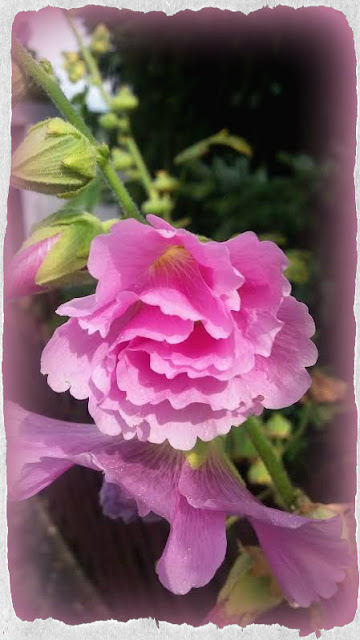 Thank you for joining us at the Floral Friday Fotos meme, I look forward to your next contribution.